Steve Way Builders, LLC were contacted by the owners of this home in East Lansing, Michigan to complete a large home remodeling project. 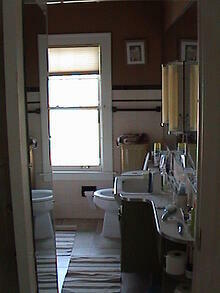 One portion of the project included the complete remodel of the upstairs full bathroom. 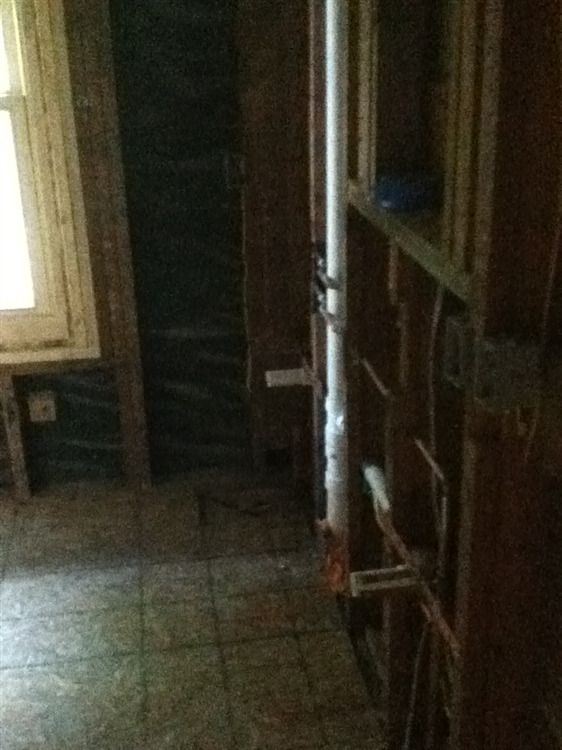 The original full bathroom was completely demolished, only leaving bare studs to work with. 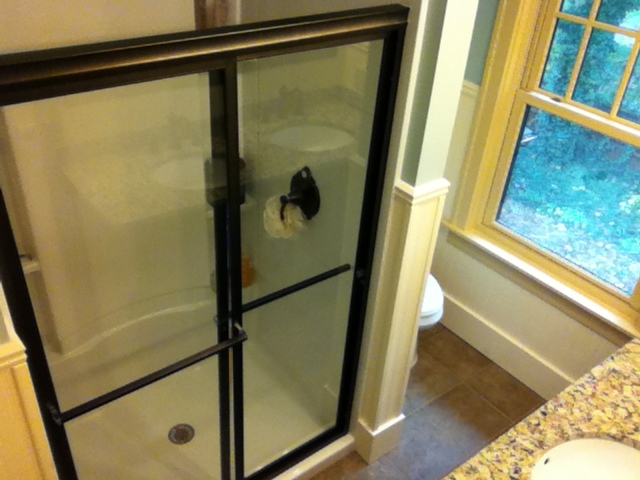 The only new framing that was needed for this bathroom remodel was a new wall to frame in the bathrooms new 4' fiberglass shower stall. The plumbing was reworked to change the location of the toilet and shower. 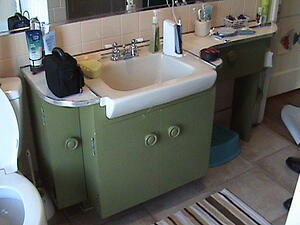 New plumbing was also installed to prepare for a double sink vanity. The electrical in the bathroom was updated to meet new code requirements, and new electric was installed for the bathrooms new radiant floor heating system. 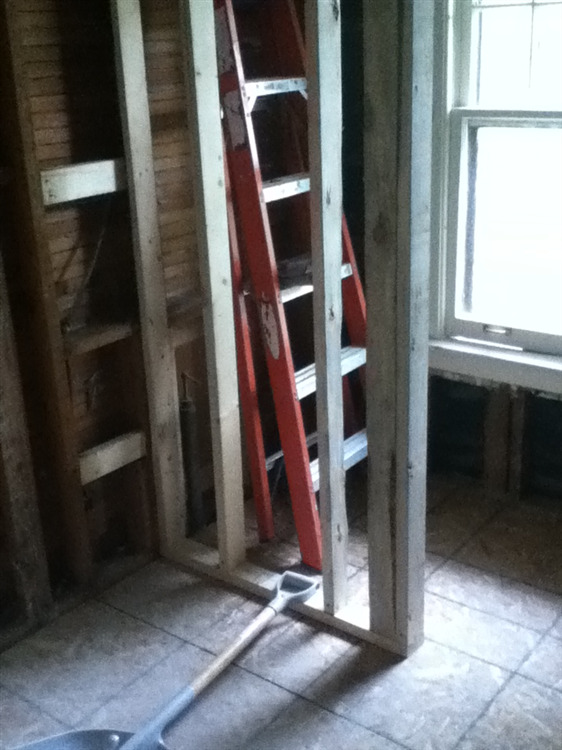 Once the shower, plumbing, and electrical were completed, the entire bathroom was hung with drywall. Once the rough framing, plumbing, electrical, and drywall were complete, the transformation of the bathroom remodel really started taking place. A Quaker double hung window provides historical exterior aesthetics required by the neighborhood. 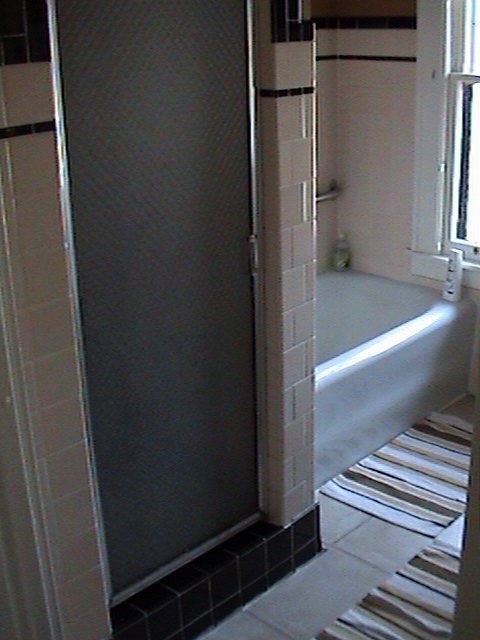 Ceramic tile flooring covers the radiant floor heating installed in the bathroom. 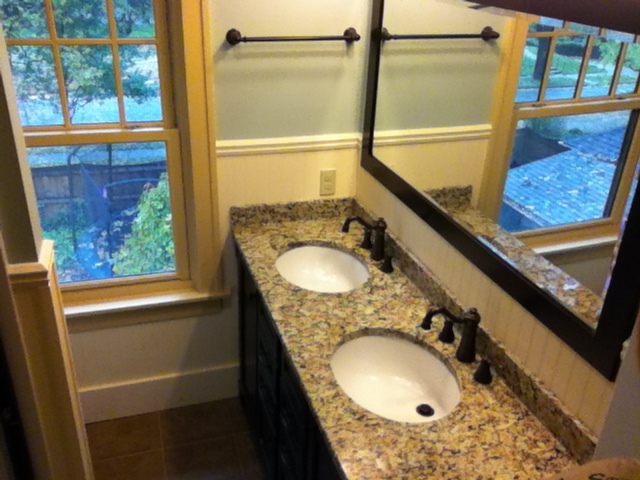 Mid-Continent Cabinetry's double sink vanity topped with a granite counter top and back splash provide for an elegant bathroom sink. 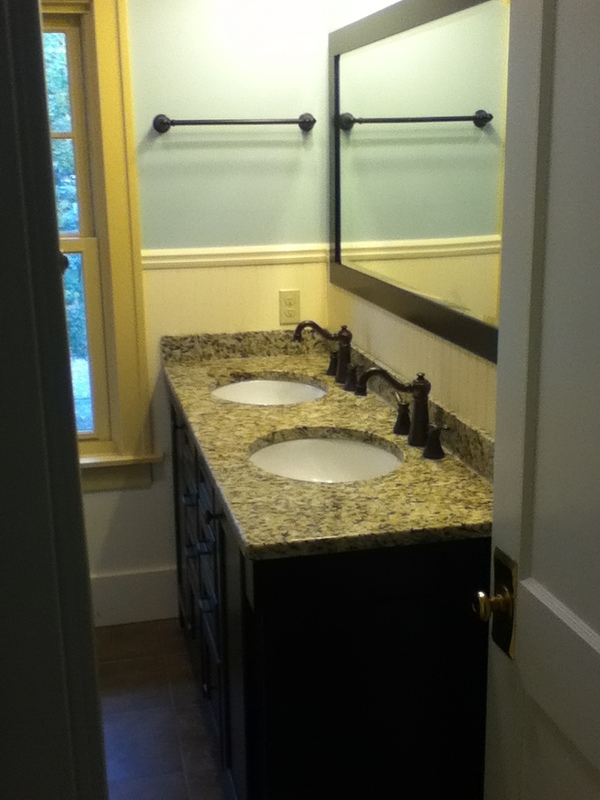 Moen faucets, towel bars, and shower fixtures dress the entire bathroom. 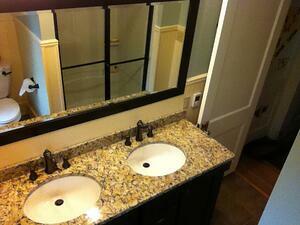 Construction photos of this bathroom remodeling project. 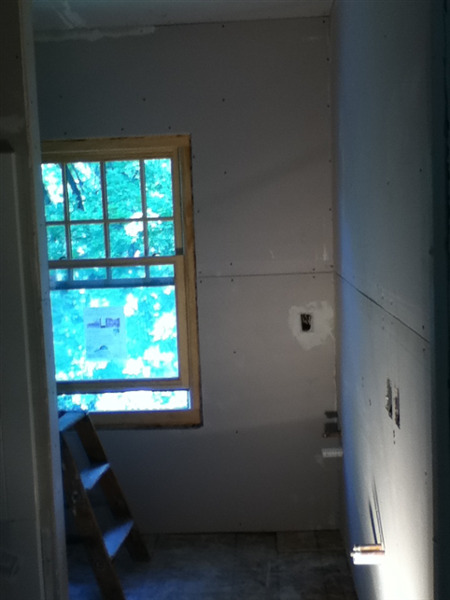 This part of the bathroom remodeling project shows the new drywall hung on the walls and ceiling before it has been finished with drywall mud and sanded. 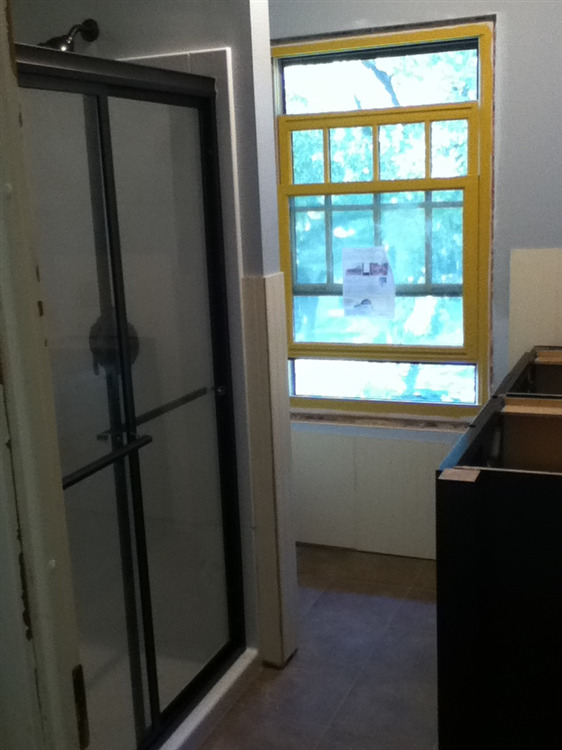 First coat of paint, bead board, vanity, ceramic tile, and shower stall in bathroom remodel.